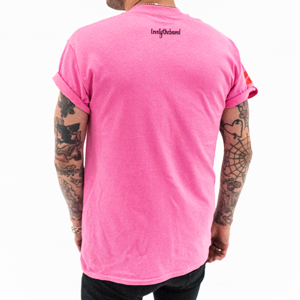 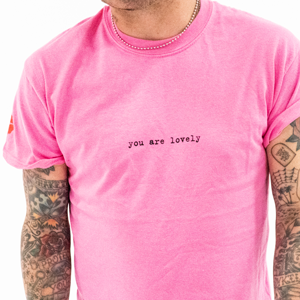 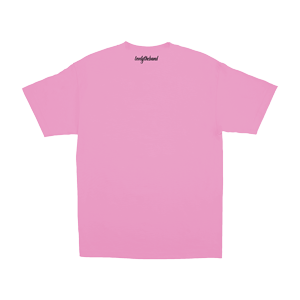 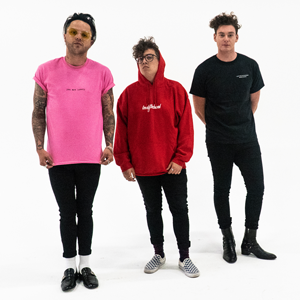 Pink cotton t-shirt featuring "you are lovely" on the front and lovelytheband logo on the back neck. 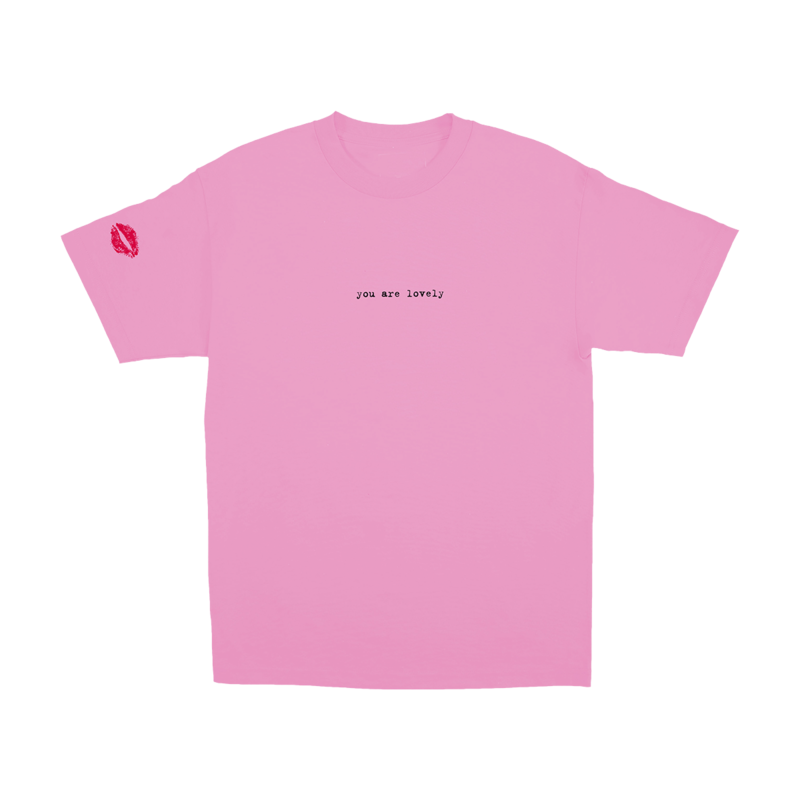 Lips print featured on the right sleeve. Front chest screenprint with lips on the right sleeve.